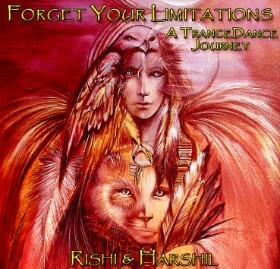 I trained with teachers like Arthur Hull, Frank Natale, Serge Kahili King and others, play music since the age of 12 and produce CD's with various world music projects and artists like Hamsafar, Prem Joshua, Snatam Kaur, Milarepa, Ashik, Subodha etc.. My own productions „Forget Your Limitations“ and „Shamans Return“ are widely used in workshops, classes and seminars as well as in discotheques and parties. With my band projects TranceFormation and The Call Of The Drums I tour and play all over Europe. In my shamanic retreats I create a save spiritual healing environment for personal insight and growth of inner power and wisdom. Using ancient rituals and techniques I invite people to reconnect to the deep wisdom of mother nature and the inner healer, guide and alliances. 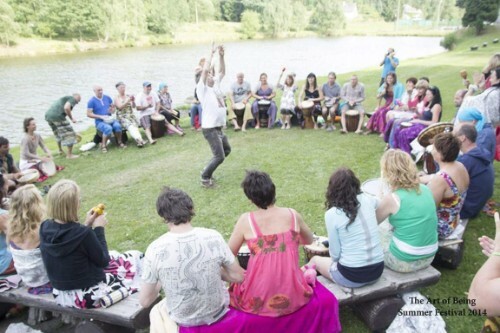 I facilitate concerts, DrumCircles, shamanic events and retreats in a variety of circumstances from private events to music festivals to exhibitions, corporate events and trainings. Grown up in the 60' in the beautiful countryside of the Harz mountains in northern Germany, I spend a great part of my time in nature, amidst lakes, trees, birds and flowers. Thus I always had a strong connection to natures spirits. However - "just" a snare drum was not quite enough for me! I quickly mounted some cardboard bins on a wooden stand and created my first selfmade drum kit. 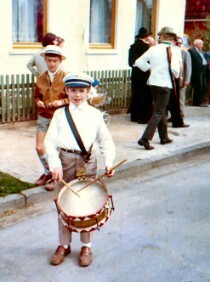 As my mom realized, that I was quite "serious" about drumming, she surprized me one day with my first "proper" "TROMSA" drum kit. 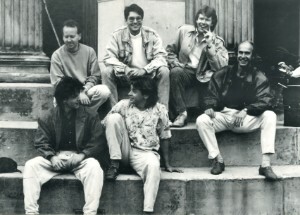 Shortly after I co-founded my first band „Hochspannung“ (High Voltage) with Tommy Wawer, Jörg Deterding - who was soon replaced by Jürgen "Rosy" Rosenbaum (†), Leo Leonhardt and Martin Tychsen, who later became lead singer (Jo Jo Tyson) of 80's Pop trio Silent Circle. My drum kit grew bigger every year and I learned to love and play a wide range of musical styles from Hard- to Latin Rock, Jazzrock to Fusion, from Reggae to Ska, to World Fusion and Trance. After moving to Göttingen at the of age 18, I soon played literally any kind of music in almost any type of ensemble from duo to big band around my steadily growing neighbourhood. Göttingen was my playground to develop my personal style and also to become more flexible. 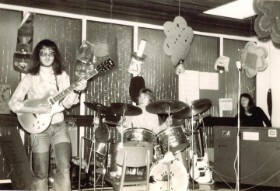 With Lutz Lagemann (now with Slow Horses), we first formed Hot Licks, a five piece Funk Rock Blues band; then New Wave and Ska was hip, and we changed long hair and hippie clothes for suits and shades: COMBO kommt was the next thing - playing Reggea, Ska and Dancehall. Besides all that I played Top 40 hits and weddings with the infamous Karl Heine Sextett, later renamed to Sunshine Band and helped out in almost any Dance, Blues- and Rock band (and even Dixie Jazz) in the area. 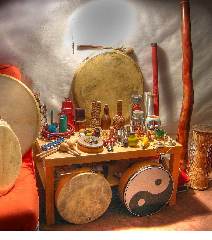 My drum kit kept growing further, and I started to integrate also hand drums, like congas, djembe, darbouka and other percussion instruments into my setup. During that time I started building electric guitars and basses, first as a temp at "Rockinger Guitars" and then together with Lutz I founded "ChaCha Guitars". Although we produced some fine intruments, the custom guitar business was yet too difficult and instead I started to produce high quality transport cases for musical instruments and high tech equipment as well as professional PA speaker systems. “Cha Cha Cases” was born and grew over the next 12 years from a one man workshop to a 6 employee "enterprise" before I got tired of dust and fumes and sold the business to ML-Cases. It was a time of many personal changes: I felt spiritual longing in my life and got introduced to meditation, which opened new directions and dimensions a long time relationship. It was time to move. I packed my stuff, left Göttingen and relocated to Munich. meanwhile I got introduced to my next important teacher from whom I learned my first shamanic skills - Frank Natale, an American pioneer, who was re-importing shamanic ritual and ceremony back into our western culture. He inspired and awoke my old deep connection to nature and the elemants and I began to experiment with shamanic events and workshops combined with live music - specially drumming and chanting. The impact of the live music on people was significant and I noticed, how much faster and deeper people emerged into a state of trance when real musicians played real instruments in real time. Since more than 15 years I tour with various artist and co-musicians around Europe and the US to present the power of rituals with live music to recreate a culture of sharing, experience, authenticity, honesty and brother/sisterhood. Since I met Osho (former Bhagwan) and started to meditate, my aproach to music has changed profoundly. From a rather egocentric approach to fill my own insecurities to a servant for the greater good, I learned to become less of a performer and more of a facilitator. Specially the integration of space and silence as a fundamental part of life gave my music new dircetions and taught me a lot about the healing qualities of sound and vibration. This lead to various new projects and got me in contact with a different kind of musicians like Dhwani W. Zapp, Maok, and Shakya and many more. 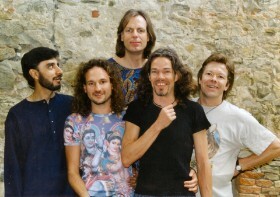 After HAMSAFAR split I became part of Milarepa's tour band, a spiritual singer/ songwriter from the US. We toured through Europe and the US in various lineups from trio to 8-piece band. Through him I met percussionist Harshil Chiostri from Florence. It was "love at first beat!" We were simplay ment to groove together! In 2009 I met my other musical brother - Dhwani W. Zapp, (owner of Oilios Music), during the HAMSA Festival in Sweden. Another musical love affair! 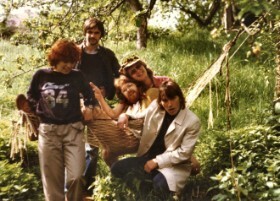 We formed “TranceFormation”, touring Germany, Czech Republic. Switzerland, Austria and the northern European hemisphere with TranceDance and Dreamtime - Healing Sound concerts. Another important meeting I had at the NoMind festival in Sweden with my Norwegian drummer brother and Drum Circle facilitator Mikael Khei. 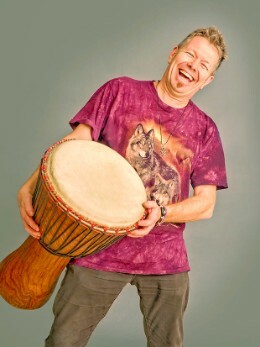 He is also a trained TaKeTiNa teacher and leads drum workshops all over Scandinavia. Mikael introduced me to the work of Arthur Hull, a pioneer in the field of "facilitated Drum Circles". I had already experimented with the intriguing power of drums and percussions in many occasions and used some simple techniques like "call and response" and "drumming around the fireplace" in workshops, concerts and festivals to uplift the energy and create a space of community. Yet - Arthur really worked the whole thing out and created a special "language" to teach and inspire people all over the world which has become a huge movement by now. From the ancient drum circles of the tribes and clans he took the step to drum circle facilitation, helping to get people drumming together at any given occasion and level of skills. I first read his books, than booked his training. A fantastic inspiration and a huge expansion for my work and an invitation for anyone who wants to experience the uplifting power of rhythm and drumming in his own environment. These days I focus mainly on Shamanic Experience Retreats and TranceDance events, but you can meet me also on various spiritually oriented Music, Dance andTantra festivals.